The DaDaDocs Salesforce integration is a complete document generation solution for typing, editing, erasing, blacking out and annotating text as well as signing documents. 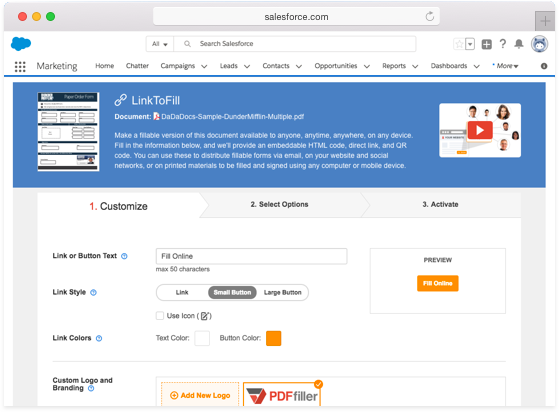 Work with Word and PDF files in your Salesforce account, and share documents with your partners making them available to anyone on any mobile device. 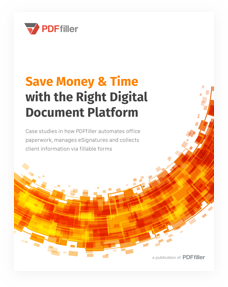 Discover time-saving software with automatic document generation for Salesforce. Generate price lists, order forms and proposals pre-filled with Salesforce data automatically. 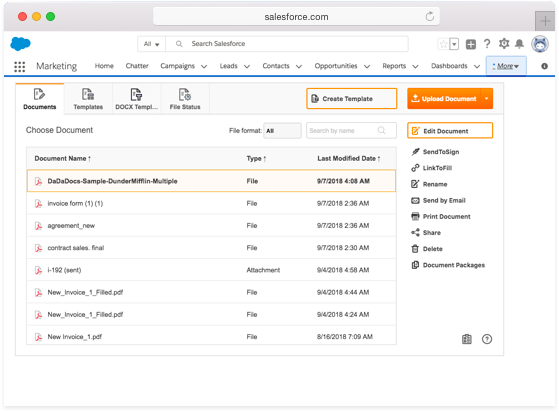 Turn any document stored in Salesforce into a fillable template and merge data from multiple objects in a single click. 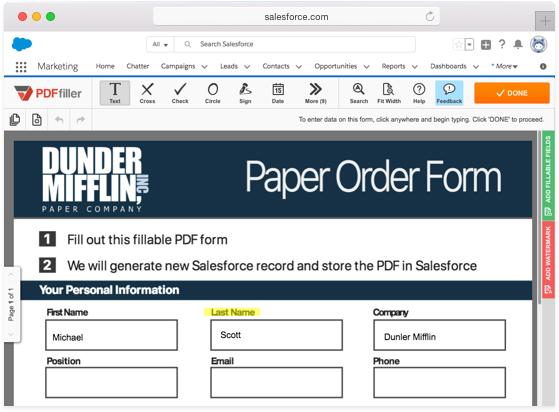 Upload your document and get instant document updates with PDFfiller’s DaDaDocs and Salesforce. 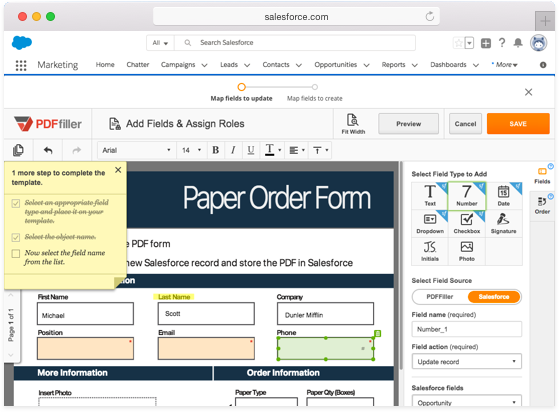 Sample an array of up-to-date tools for editing text and graphics in any native or scanned PDF directly in Salesforce. Correct typos, highlight important information in agreements or contracts and leave comments for recipients with sticky notes and text boxes. Add your digital signature to a contract or agreement. Send it out to be completed and signed by up to 20 business partners. Password-protect your documents and ensure only authorized recipients can e-sign and modify them. 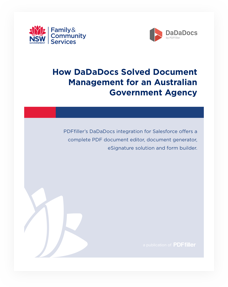 Enjoy seamless PDF generation with the DaDaDocs Salesforce integration. 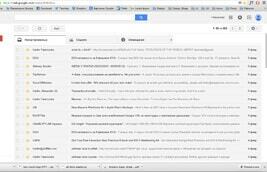 Create online fillable applications, organize forms and surveys, and share them with customers and vendors. The DaDaDocs integration with Salesforce uses information you submit to automatically create or update records. 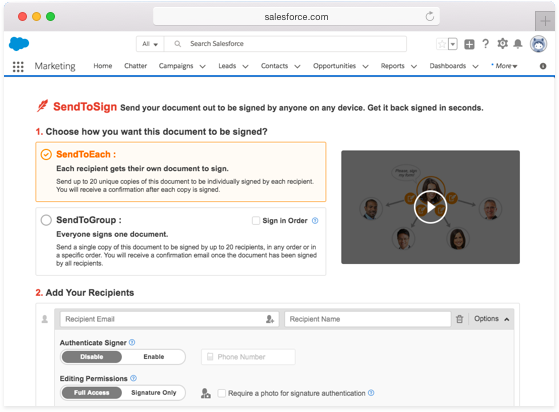 Edit and e-sign PDFs or turn any document into an online fillable form using Salesforce document generation while working in the Lightning Experience. Boost your team productivity, accelerate document workflow and make the most of Salesforce’s innovative features with our industry-leading document management and electronic signature solution.